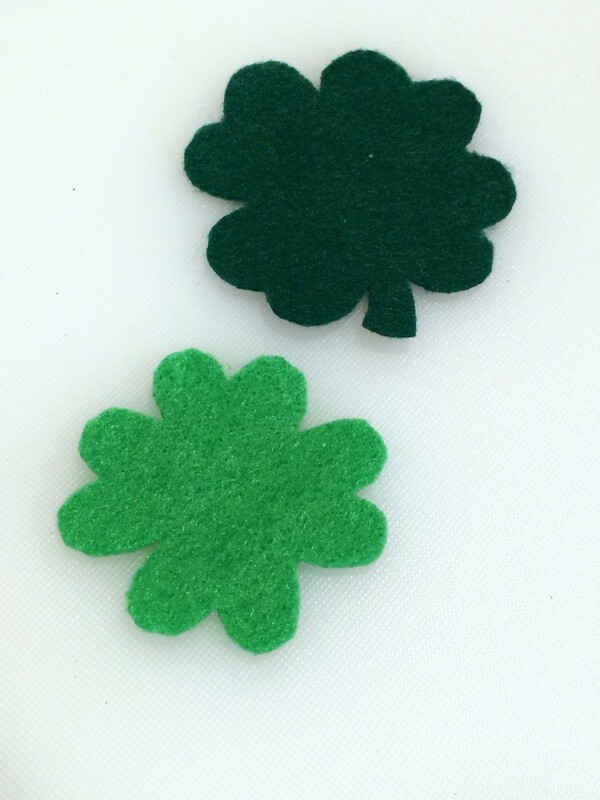 You and the kids can have fun making these cute felt shamrock pins for St. Patrick's Day. 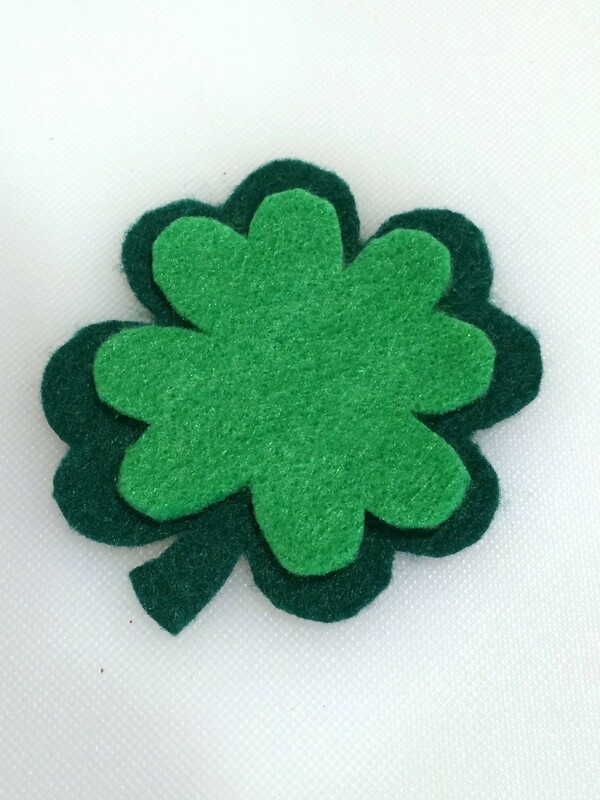 This is a guide about making a felt shamrock pin. 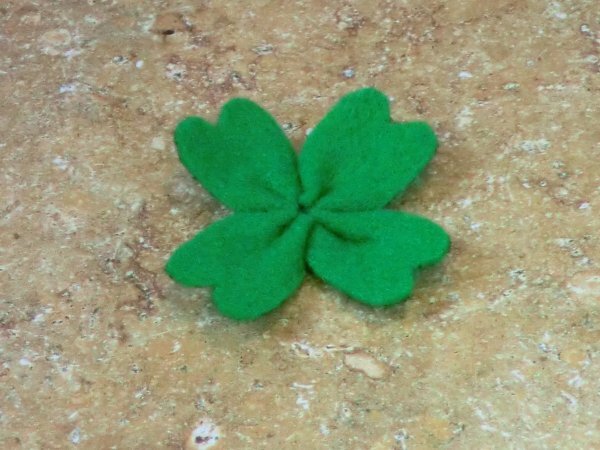 This cute little shamrock only takes a few minutes to make. 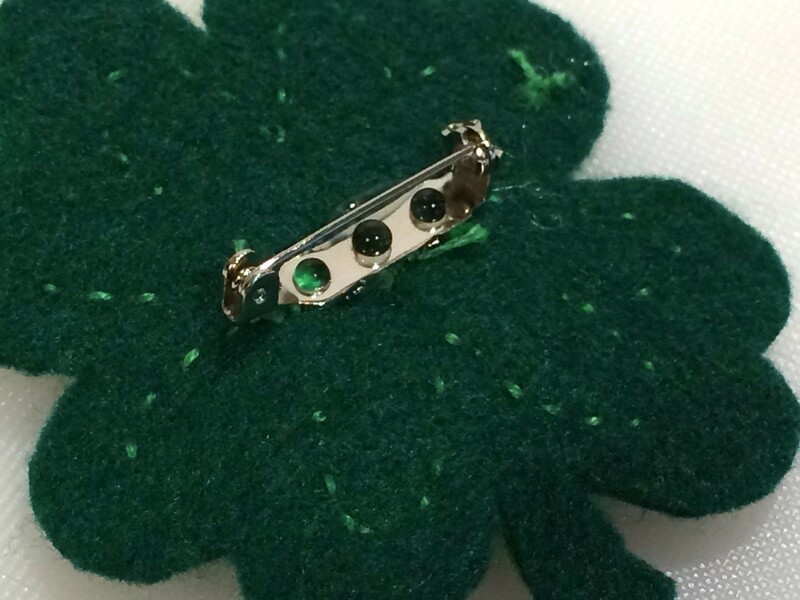 You can use a safety pin to wear it as a pin or it could be glued to a barrette and worn in your hair. Either way it will ensure that you don't get pinched! 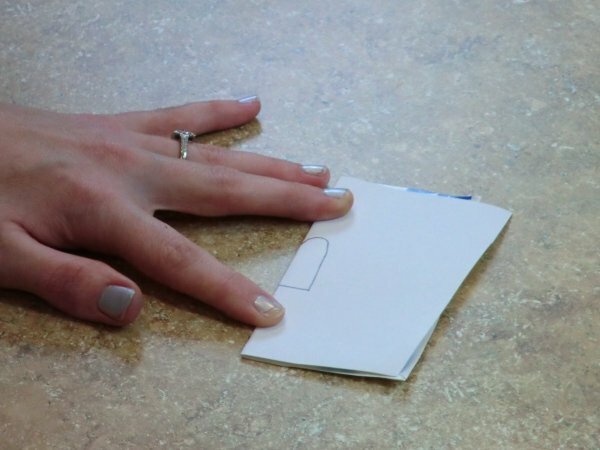 Fold the piece of cardboard in half and draw your template along the folded edge. Cut it out and open it up. 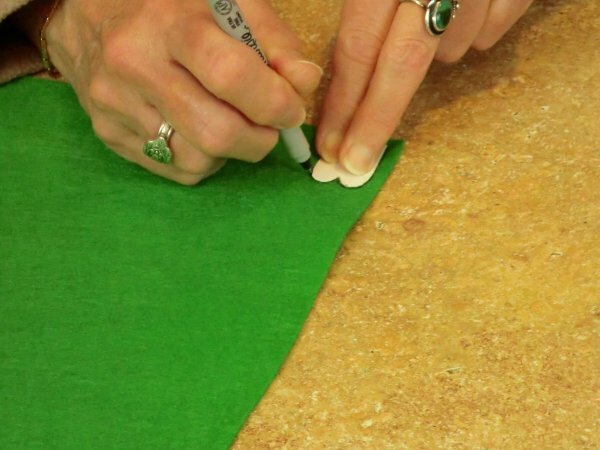 Using a Sharpie, trace the shape onto the felt 4 times. Cut out all the felt pieces. Continue until all four pieces have been threaded. Carefully bunch the pieces up, pulling the thread so that there is no excess thread in between the pieces. 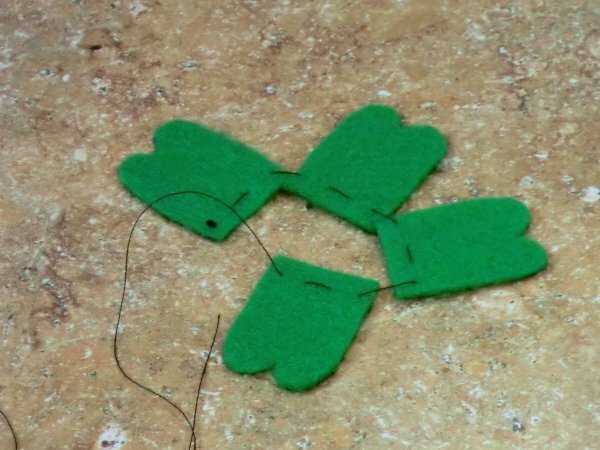 Curve the pieces to form a 4-leaf clover. 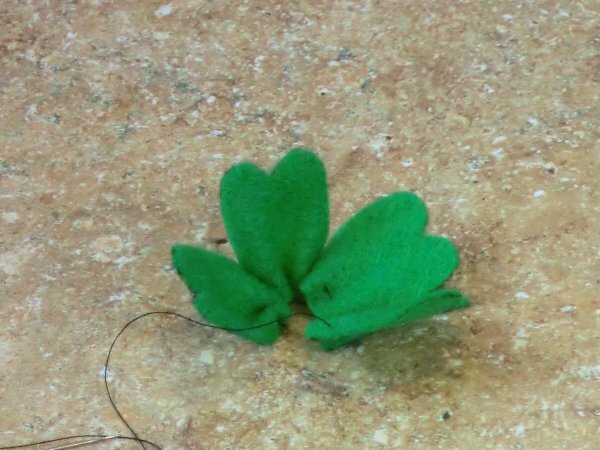 Using your needle, sew your first and last clover leaf together. Knot your thread and cut off excess. 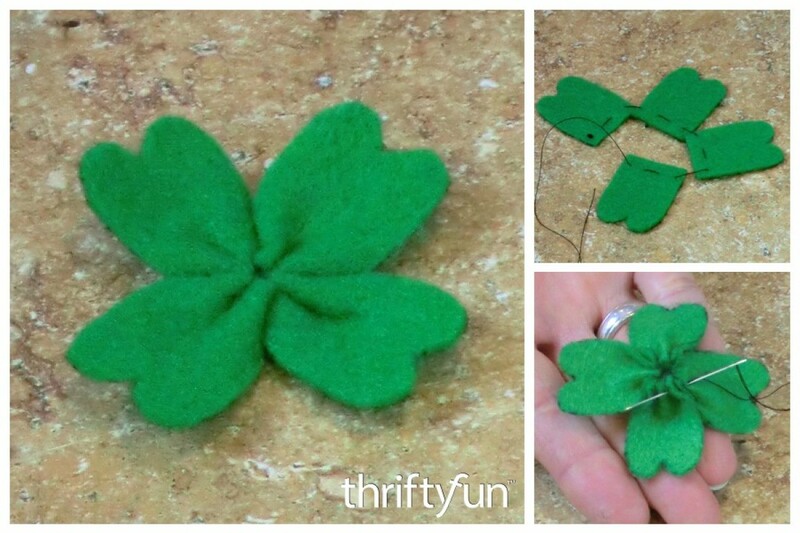 Attach your clover to a safety pin or barrette and wear it! 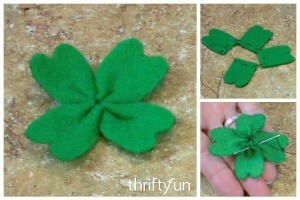 This easy to make felt shamrock pin would be cute to wear on St. Patrick's Day and will help you avoid getting pinched! 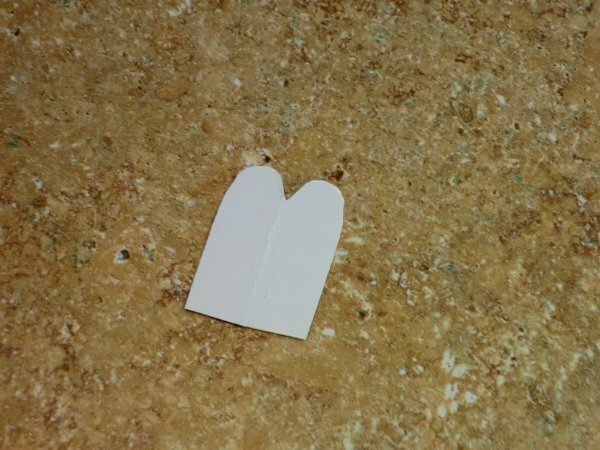 Cut out templates and stick to felt using rolled up pieces of tape. 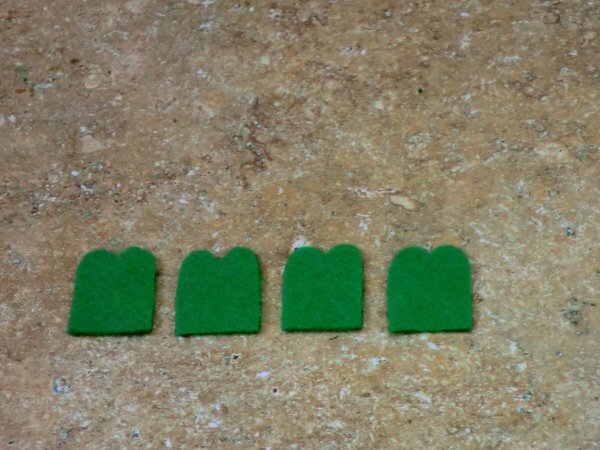 Cut out felt pieces. 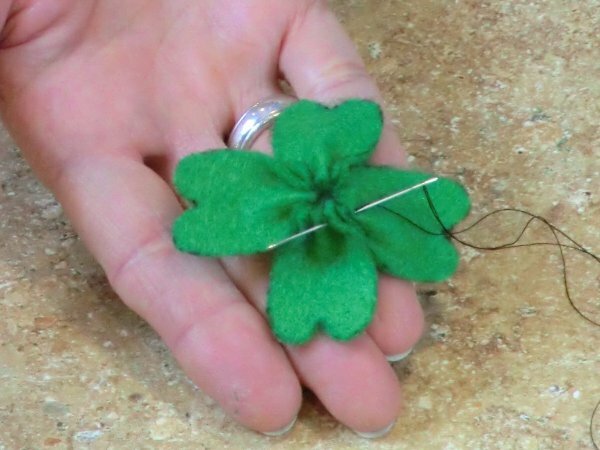 Sew smaller shamrock to larger shamrock using embroidery floss. 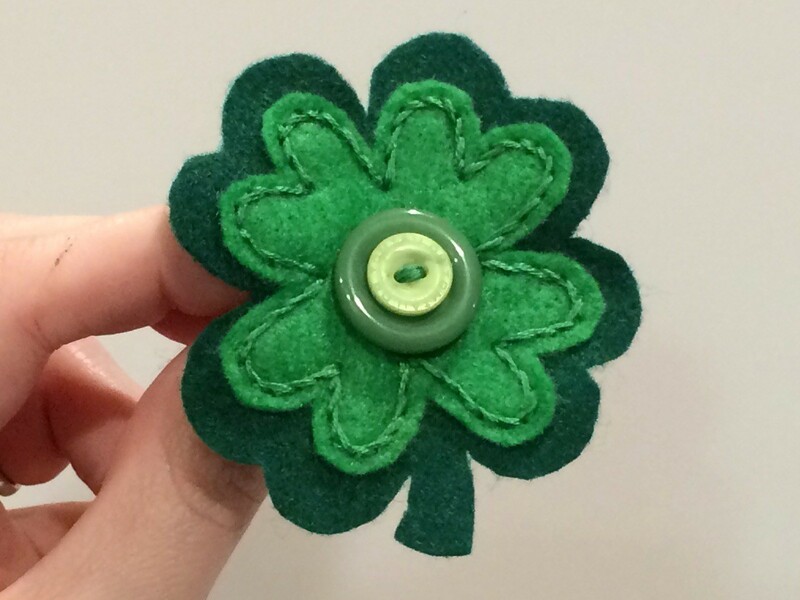 Then sew button(s) onto center of shamrock using embroidery floss. 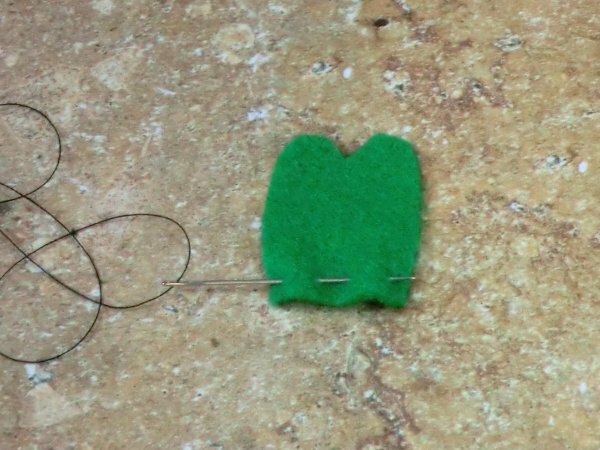 Use hot glue to attach the pin back, allow glue to dry before wearing. 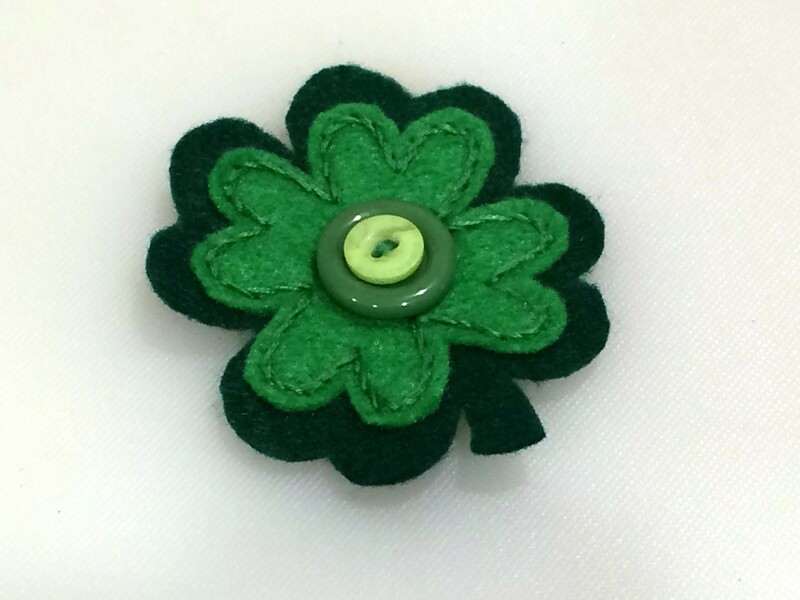 These easy shamrocks are made with buttons and felt and make a beautiful pin for celebrating St. Patrick's Day. Learn how to make it in this short video.